looks good, but no english edition! might get it anyway, and get the dictionary out. from a designers perpective, that's how a proper fanzine should look like..kudos to the creators, they'd of doubled there scope if they had of done it in english also..I've haeard of the Retrun fanzine before, but took no interest due to the German in it, but they have it nailed IMO..
Well, i would be well up for it.. Very happy to do something upfront as well so know one gets screwed or feels they might. I asked about bringing an english language version in, the team came back to me and explained that they have it in mind but not for a while. I would love to bring a publication over for distribution, but I think that will not be a problem for them when they do go for it. I have ordered my German Copy anyway! 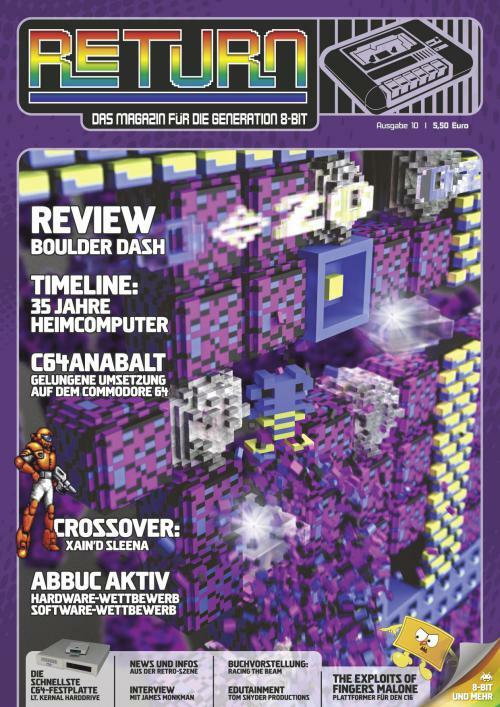 this is a nice mag to, you can run it through translate! Would like a look at it. it at Cologne train station once. Just got my copy, would cancel my RG sub in a flash to get this if it were in english. they've a new issue due in on the 5th of June, here's a preview of the cover..looks ace, dam them for not doing a translation in English..